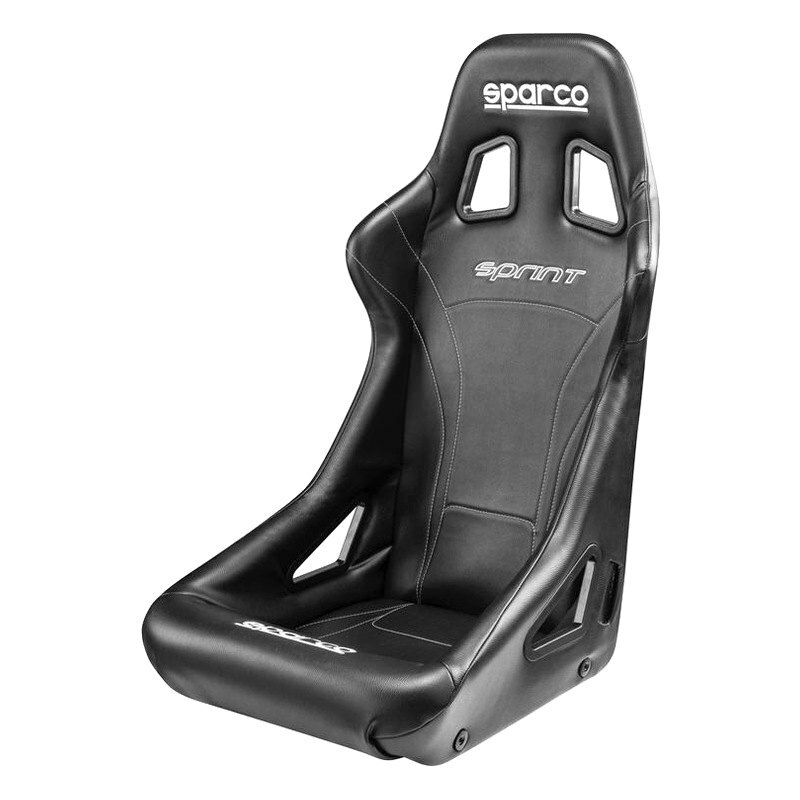 Universal Sprint Series Competition Seat, Black Vinyl (008232NRSKY) by Sparco®. Seat Quantity: One. Perfect for weekend racers, this seat from Sparco is a blend of safety, styling, and value. Constructed with a tubular steel frame, the product offers excellent support and safety as well as features fastenings for side attachments on the tubular frame, which allows for better positioning on the shell. For improved safety, the seat features the holes for fifth and sixth seatbelt points.